Bay Area Air Quality Management officials have approved a $5 million plan to install 5,000 electric car chargers around the Bay Area in the next five years. These stations will be installed at homes, apartments, office buildings, parking garages and other locations from San Jose to Santa Rosa. There are currently about 120 public electric vehicle (EV) chargers in the Bay Area but more are required in order to ensure a reasonable driving range for the next generation of EV drivers. Funding for the program comes from a $4 fee for air pollution programs that motorists pay as part of their vehicle registration. Learn more here. How Does Transportation Impact Your Sustainability? The Center for Neighborhood Technology’s new tool, Abogo, lets you discover how transportation impacts the affordability and sustainability of where you live. Enter your address and find out the monthly transportation cost for an average household in your area, as well as the transportation CO2 impact. Explore this new tool here. Local cities are engaging in the effort to ban plastic bags. See El Cerrito’s sample letters of support for AB 1998- the Plastic Bag Ban. 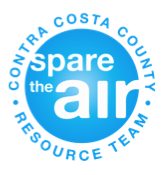 Let us know about other Contra Costa County efforts and join the discussion! The City of Pleasant Hill is developing its first comprehensive Bicycle and Pedestrian Master Plan. The purpose of the plan is to develop a network of bicycle and pedestrian facilities that will provide better access to transit, schools and shopping destinations. The Plan will also develop policies to provide ample bike parking and other support systems for bicycling and walking in Pleasant Hill. Lastly, the Plan will include recommended education and encouragement programs to help Pleasant Hill residents learn to bicycle and walk safely. The City will host the project’s first public outreach meeting on September 29th. Learn more here. A report released by the National Governors Association on September 8th said every state and territory is working to advance clean energy measures. Most states are developing clean energy not only as an environmental strategy but also as an economic development strategy—to reduce state energy costs and even create jobs in some instances. Learn more here. There should be thousands, if not tens of thousands, of birds along the Dumbarton Bridge in the next few months. For more than a year, construction crews with heavy machinery working for the U.S. Fish and Wildlife Service have been turning the former Cargill Salt pond into a rich environment for dozens of bird species. This is one project of the major bay restoration. Much more work and funding is still needed to complete the full bay restoration, but these processes are underway. Learn more here. U.C. Davis has created the Häagen-Dazs Honey Bee Haven, a half-acre refuge designed to educate students and the public about agriculture’s most important little helpers. More than 6 million bees representing up to 55 species have taken up residence in the 110 hives and surrounding area. Concern for bees is not just about honey. Many crops are dependent on bees for pollination. Among them are melons, squash, many berries, sunflowers, alfalfa, clover, most tree fruit and almonds crops. Learn more here. Support PACE Programs by Using this Sample Resolution! The Federal Housing Finance Agency (FHFA) issued a statement that has effectively frozen residential Property Assessed Clean Energy (PACE) Programs across the country. In response, PACE now has launched a campaign to engage local government partners across the country, calling for immediate congressional action to approve legislation allowing PACE to continue. Adopt a resolution in support of immediate congressional action to authorize legislation for PACE. Use this sample Staff Report and Resolution. For more information and for public involvement opportunities, visit here. The Senate Banking Committee voted in favor of the Livable Communities Act. This legislation provides up to $4 billion in competitive grant funding for regions to plan future growth in a coordinated way so as to reduce congestion, create and preserve affordable housing, meet environmental and energy goals, protect rural areas and green space, and revitalize urban centers. This smart growth provides multiple benefits, including reducing vehicle miles traveled, thus reducing carbon emissions, resulting in non-regulatory mitigation of climate change through the reduction of greenhouse gas emissions from cars and other mobile sources. Learn more about the legislation here. President Obama continued his push to set national limits on greenhouse gas emissions. Obama touted the need for carbon limits to spur domestic job creation and the White House is “deeply disappointed” that Congress hasn’t passed climate legislation. The administration is still holding out hope for a legislative victory on climate and energy, despite the political challenges of passing a controversial bill through the Senate after the chamber returns from its August recess. Two Russian tankers carrying 70,000 metric tons of natural gas to China are, for the first time, using a shortcut through the Arctic Ocean. Chaperoned by two nuclear-powered icebreakers, the shipment left the port town of Murmansk for Asia. Shipping companies OAO Sovcomflot and OAO Novatek are aiming to cut their delivery time to China by half by using the northern route rather than the Suez Canal. Read more here. Climate Change Disasters: Are Events Of ‘Global Weirding’ Related? Ecology has recently published guidance on “Addressing Sea Level Rise in Shoreline Master Program Updates.” This online tool is designed to assist local government planners in meeting the requirements of the Shoreline Management Act and Shoreline Master Program Guidelines. The guidance provides a brief background on anticipated impacts of sea level rise in Washington State and goes on to suggest a variety of ways in which local governments working on SMP updates can incorporate sea level rise adaptation into these updates. The complete document can be found online here. Who is Paying for Your Waste? Extended Producer Responsibility (EPR) is a means to go beyond everyday recycling and waste reduction by creating a connection between a product’s creation and its eventual disposal. Managing this waste can be very costly for local governments, especially when products are hazardous or toxic. California’s local governments and ratepayers spend over $500 million annually to manage products which are banned from landfills as well as those headed to landfills. Find tools, fact sheets and sample documents here to help create an updated and sufficient EPR policy for your city. Planners face new, rapidly evolving challenges when incorporating climate change considerations into their planning processes. This class is designed to provide participants with the knowledge and skills needed to develop a CEQA/NEPA-level analysis of a project’s effects on climate change, as well as potential effects of climate change on the project itself. Learn more here. Join local government staff and elected officials as they come together to learn, inspire and engage on local climate, energy and sustainability action. Attend workshops and trainings: explore partnerships are shaping and supporting local effort and much more. Learn more here. Debi Le Vine, Director of System Operations at CalISO, will be discussing the status of renewable energy meeting today’s load in California and the integration of these new resources into the California ISO grid. For more information contact Jennifer Madison at jlmadison@stoel.com. West Coast Green in the largest conference and expo on green innovation. West Coast Green provides dynamic, big-picture, systems-thinking education, strategy, connections and professional development to leaders. They are experts at designing programs and processes that allow the individuals, companies and communities we serve to realize their potential. Learn more and register here. The American Solar Energy Society National Solar Tour is the world’s largest grassroots solar event. This event offers you the opportunity to tour innovative green homes and buildings to see how you can use solar energy, energy efficiency, and other sustainable technologies to reduce monthly utility bills and help tackle climate change. Free and open to the public. Learn more about the national event here and get details on the Contra Costa program here. Contact Deborah at downtoearthsolar@comcast.net if you would like to add a building to the Contra Costa County tour. Ecology released the final white paper, Issues and Options for Benchmarking Industrial Greenhouse Gas Emissions. The final white paper builds on the insights gained from the benchmarking symposium held in Seattle (May 2010) as well as stakeholder comments. They partnered with the Stockholm Environment Institute (SEI – Seattle Office) to complete this first of its kind paper. It examines a number of industrial sectors in detail and worked with representatives from these sectors as they drafted paper. Download and read the report. Recognize Yourselves for a Job Well Done! The Institute for Local Government’s California Climate Action Network (CCAN) is pleased to announce its new recognition program, the Beacon Award: Local Leadership Toward Solving Climate Change. The Beacon Award recognizes and celebrates California cities and counties that: Reduce greenhouse gas emissions and save energy; Adopt policies and programs to address climate change; and Promote sustainability. Learn more. Submit an application for your efforts today!